If you own a business of any kind then you know the importance of your carbon footprint and your green image on your customers. You know that they look at these things and use them as deciding factors when choosing the company they want to work with. That means you need to start thinking long and hard about how you’re going to improve your green image and reduce your carbon footprint and how better to do that than with 100% recycled corporate holidays cards? 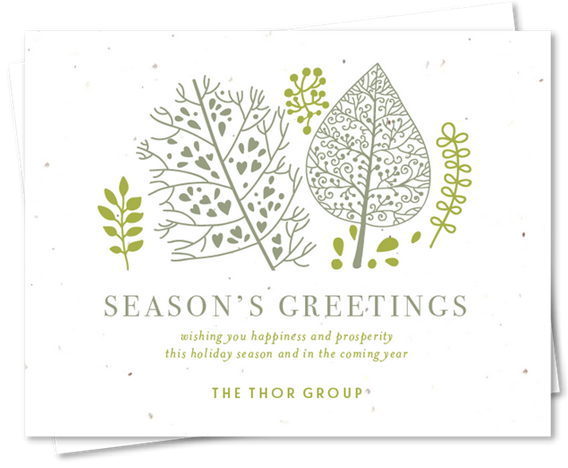 It’s getting close to the holiday season again and that means it’s time for your company to start sending out cards to your partners, colleagues and your top customers as well. You want them to see that your company really cares about them and at the same time you want them to get something that shows how much your company cares about the environment that you all live in as well. 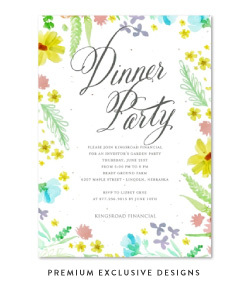 With Green Business Print corporate holidays cards you’ll be able to do both with just one simple card that is also elegant and beautiful for all of your most important people. 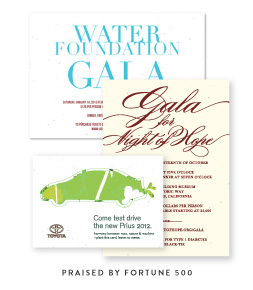 Cards from GreenBusiness Print are 100% recycled and 100% biodegradable. These cards are also plantable because they are embedded with seeds that grow into wildflowers or herbs. Not only with the absence of cutting down trees show that you care for the world around you but the fact that your customers and employees can use these cards to spruce up their own home as well and to make an even better impact on the environment. You can choose from a variety of cards that fit your business style without sacrificing any of the great benefits and you’ll also be getting a 100% unique product that is handmade and hand painted. No two will ever be exactly alike. If you own a green company such as an organic food store or clean water charity or a green energy facility you definitely want green products but even if you don’t these are still a great idea to show the important people to your company what they mean to you and what the world means to you. ForeverFiances has cards perfect for you available in your choice of colors and wordings as well so you won’t be tied down on what you want to say or who you want to say it to. You’ll love these beautiful cards and so will everyone who receives one.